Scrapyard. 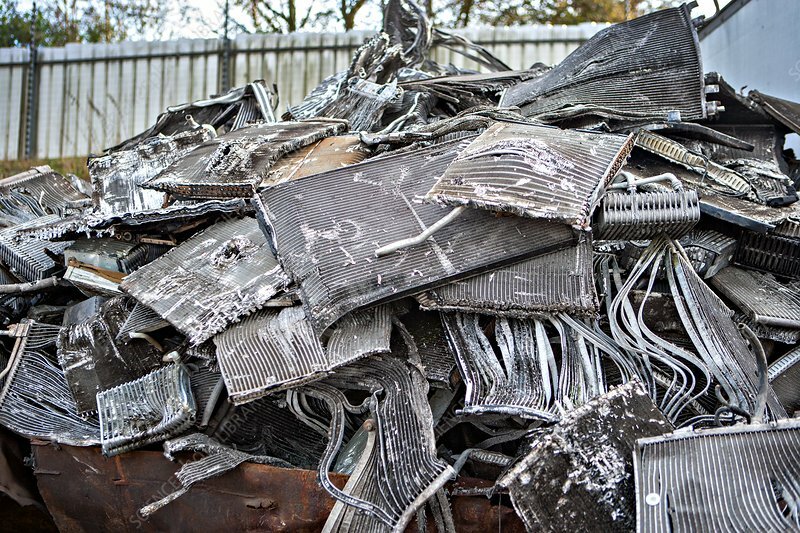 Pile of radiators and oil coolers removed from vehicles before they are crushed at a scrapyard. Photographed in Scotland, UK.